GeoBlue Trekker Choice and Essential frequent traveler medical insurance is one of the best overseas travel insurance a person may purchase when traveling outside the U.S. more than once per year. Good Neighbor Insurance licensed international insurance brokers have provided these great Trekker Choice and Trekker Essential benefits to our clients since 2000. GeoBlue has not let us at Good Neighbor Insurance down nor has let our clients down. Pre-existing medical conditions are mostly covered on the GeoBlue Trekker Choice (please connect with our Good Neighbor Insurance licensed brokers to learn more about this at 480-633-9500 here in Arizona or email us at info@gninsurance.com). One of the key benefits of this GeoBlue Trekker Choice and Essential has is the emergency evacuation cover. An emergency medical evacuation from overseas can easily cost upwards of $100,000 or more and on average is between $20,000 – 40,0000. Many domestic health plans do include some foreign medical emergency travel benefits however coverage may be limited, include heavy copays or deductibles, and may not pay for emergency medical transportation. 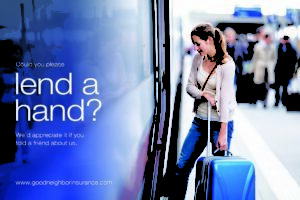 Cost effective travel insurance when traveling outside the U.S. two times or more in a 12 month period. Can only purchase if you are a resident of the U.S.
As long as each trip is no more than 70 days (you can go overseas as many times as you want) the GeoBlue Trekker Choice and the GeoBlue Trekker Essential is one of the most cost effective international medical insurance cover for traveling outside the U.S.
Good Neighbor Insurance International Insurance Brokerage – https://www.gninsurance.com/.